The Ethics Centre was originally established in 1989 and has been committed to improving patient-centered care by promoting ethics knowledge and skill in decision-making throughout the organization. The Ethics Centre is a core supporting member of the Joint Centre for Bioethics at the University of Toronto. We endeavor to provide leadership in the provision of clinical ethics services through scholarship, education, and research. What is the Ethics Centre? 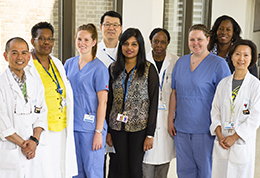 The Ethics Centre at Sunnybrook coordinates and provides ethics consultation services as well as ethics education throughout the hospital. The Ethics Centre promotes ethics related activities designed to enhance ethics knowledge and skills in decision-making from bedside to boardroom. Ethics consultations provide support to staff, patients and their families confronted by difficult ethical or moral challenges found in health care. Our consultative services are offered in a supportive and advisory manner recognizing that treatment decisions are ultimately the responsibility of the treatment team in collaboration with the capable patient’s wishes and/or the patient’s substitute decision-maker(s). Ethical challenges can be encountered in providing quality in end of life care, substitute decision-making, resolving conflicts, as well as in determining the role of cultural or religious values in patient care decisions. Any member of the medical team, hospital staff, patients, and patient families can make a confidential request for ethics consultation services. After receiving a request, the ethicist will assess whether a clinical ethics consult is needed, or whether a referral to a more appropriate resource within the hospital or within the community is required. Ethics consultations remain confidential unless there is any threat of harm or abuse to a patient, staff or family member. Who do I call if I have a concern about an ethical issue? 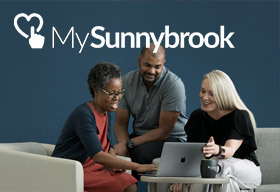 The Sunnybrook Ethics Centre at 416-480-6100 ext 5081 or ext 7178. 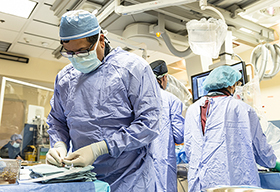 The Ethics Centre helps to coordinate and provide ethics education throughout Sunnybrook in the form of unit based rounds, in-service workshops, and formal hospital-wide presentations. Many of these educational activities are done in collaboration with other departments and hospital services, such as medical education. 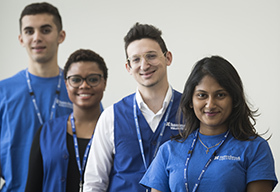 We also supervise graduate students and clinical ethics fellows in collaboration with the Joint Centre for Bioethics and present educational seminars to its members and students.